First planted setup of my study come fish room. Lighting : 2X54 watts Philips T5 HO (will add two more T5 HO or PLL shortly). 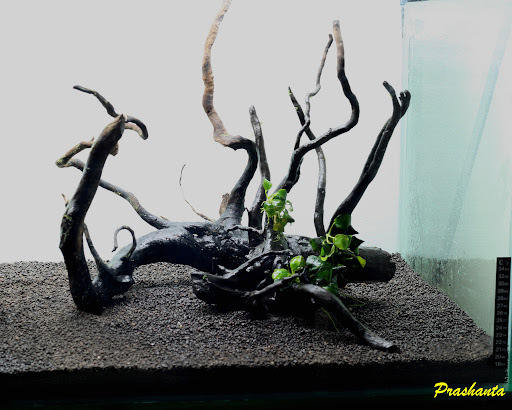 Filtration : Dolphin 1600 with ADA Bio Rio, Ceramic Rings etc. Dosing : Not yet decided. More plants will be added later. Nice start buddy. My 5 foot journey has started, but not like this, a very low tech!! nice start. and those are great looking drift wood. Awesome stuff boss , one of those cool branded tanks in the forum, keep us updated boss. BTW- I see a touch of Seetharams journal making, you surely have some cool company down there. ATB ... unable to wait, please update the water. 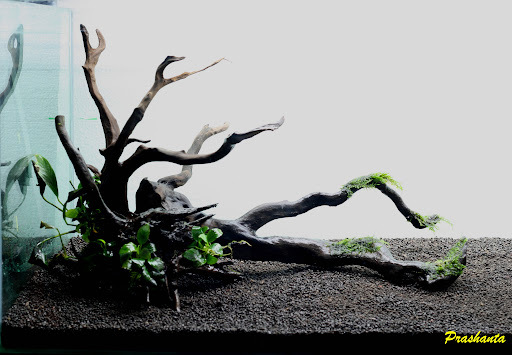 I love the driftwood selection and their placement. Where did you get them Prashanta ? How much did they cost ?! PM me the details pls. Thats all drool stuff mate, Class setup! Looking forward to rest of the planting and progress.. I am curious to know, why you added bacter 100 to power sand special? PS-S already contains that. Very good start buddy luks reallly nice. Nice start. 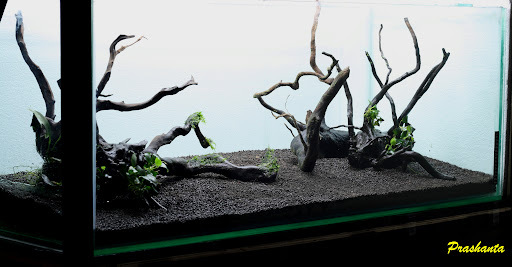 Looking forward for the finished scape.